Today, I wanted to offer up something a bit unexpected for this blog. I don’t know about you all, but as a home decor enthusiast, I notice beautiful things everywhere I go. 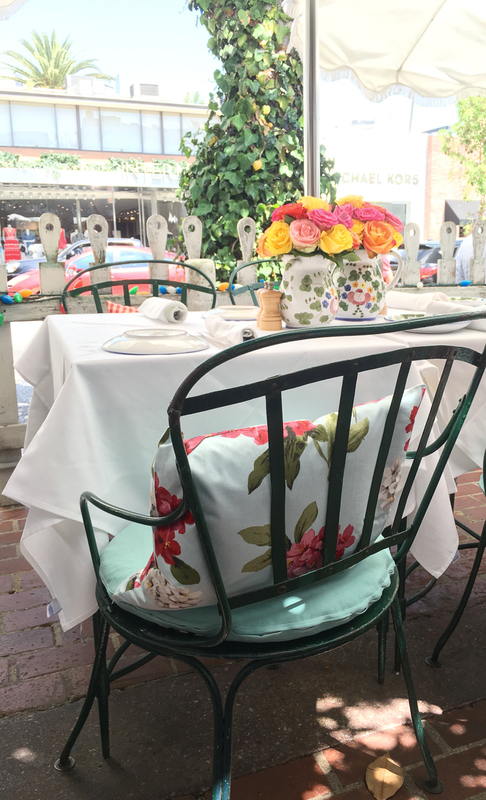 From boutique shops to restaurants, I am always focused on decor and design elements. 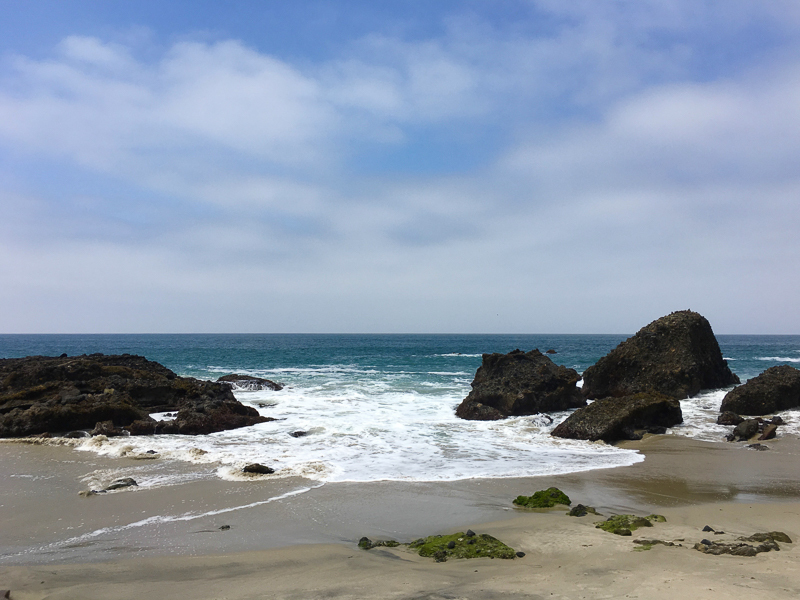 Therefore, I decided to share a bit from our most recent vacation to Southern California and hopefully you will find a new spot to love along the way. Twice per year we head west. The cool crisp air beckons as do the beaches and awe inspiring views. Lately we have been splitting our vacations between LA and Orange County. Each time it is quite nostalgic for us as we have so many memories from that region of the country. I could sit and watch the pelicans fly by for hours. I just love the aviators of the sea. It was overcast part of the time we were there, but the temperature was perfect. You can find my sundress here. 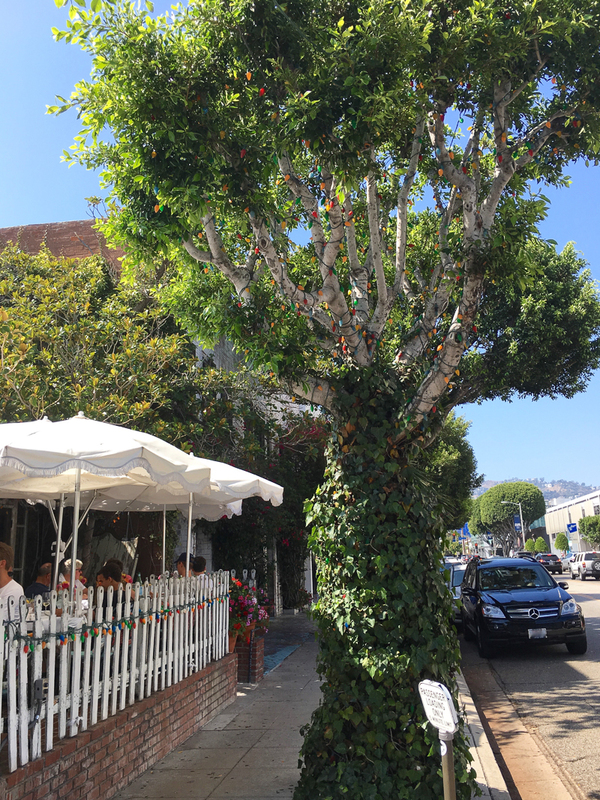 Another favorite lunch spot is The Ivy in West Hollywood. Reservations are a must here. 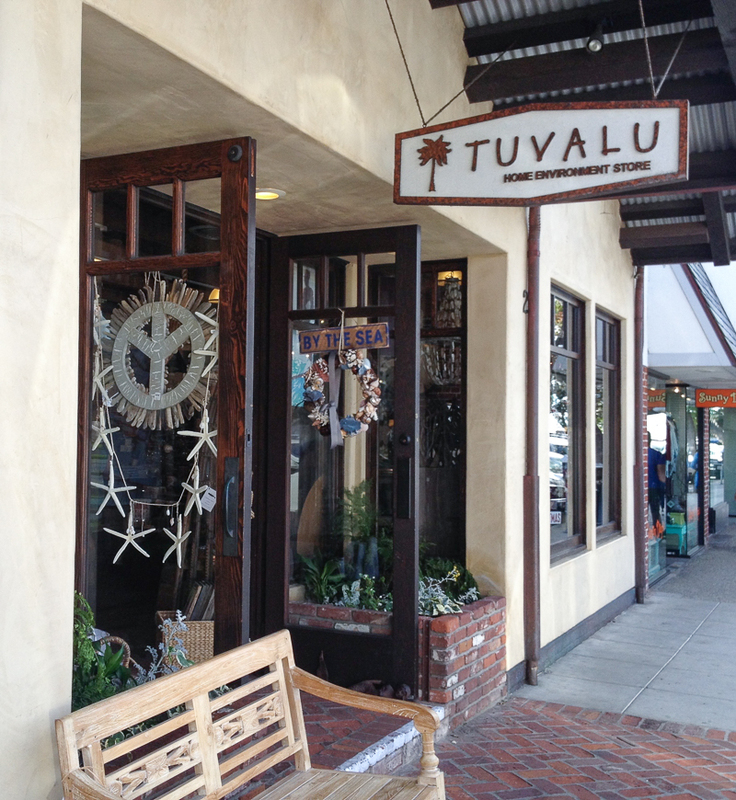 It is located on Robertson which is a great place to shop or simply people watch. We were offered a glass of champagne upon checking in. 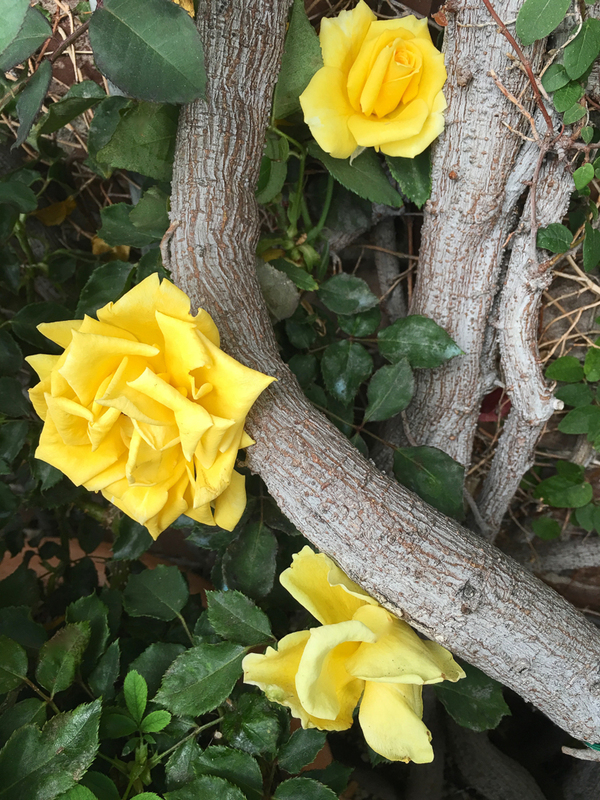 There are gorgeous fresh flowers everywhere. 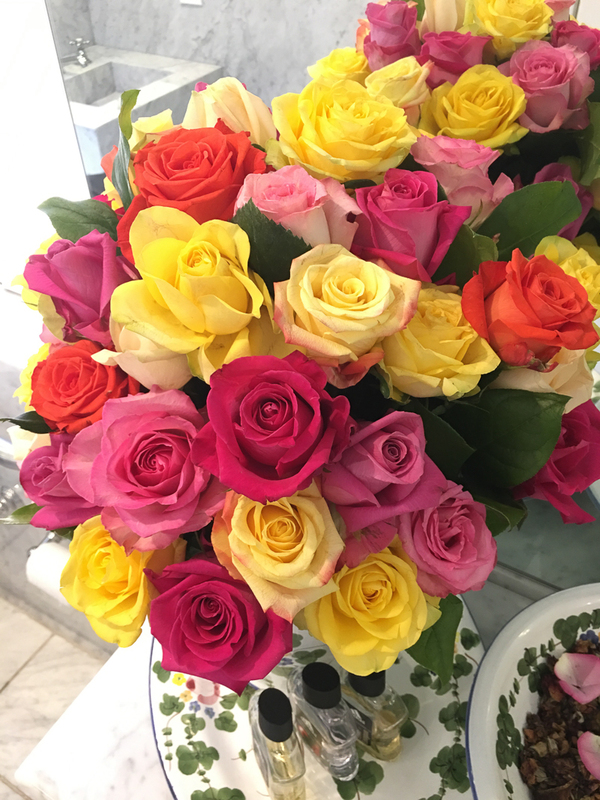 Even in the restroom, there is a beautiful arrangement of multicolored roses. 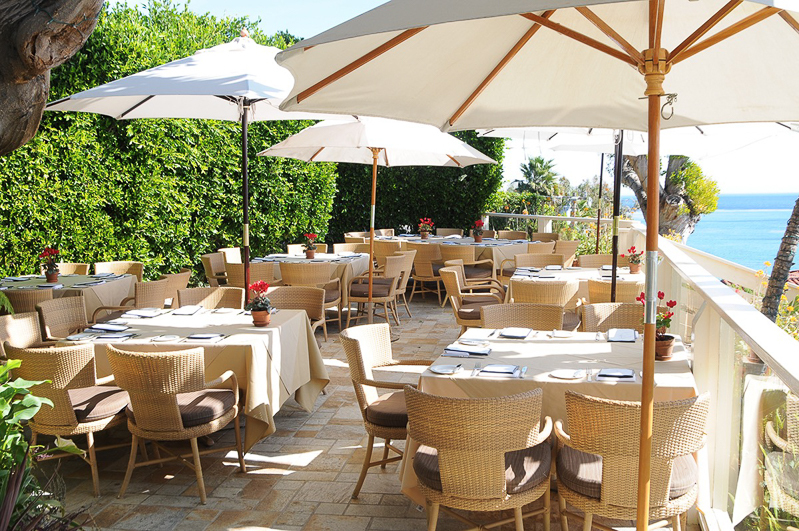 Patio seating is worth the wait and delivers an energetic intimacy. Translation: the tables are quite close together and you will hear multiple conversations going on around you. True to it’s name, there is ivy everywhere. 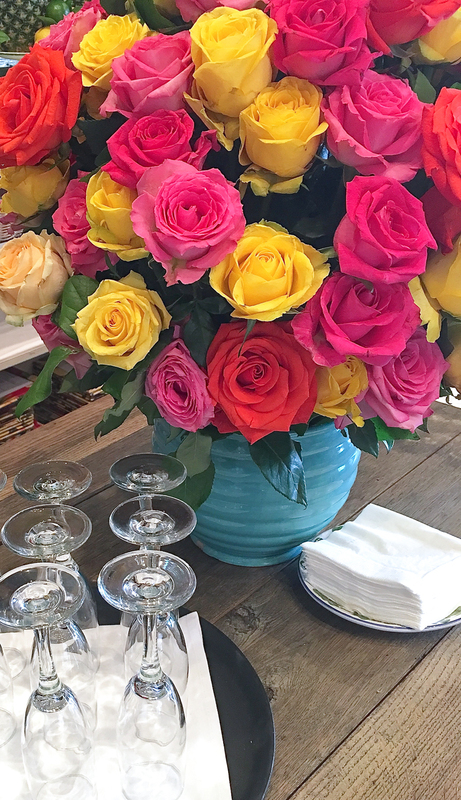 I especially love the vining roses. Now, we travel to Orange County. 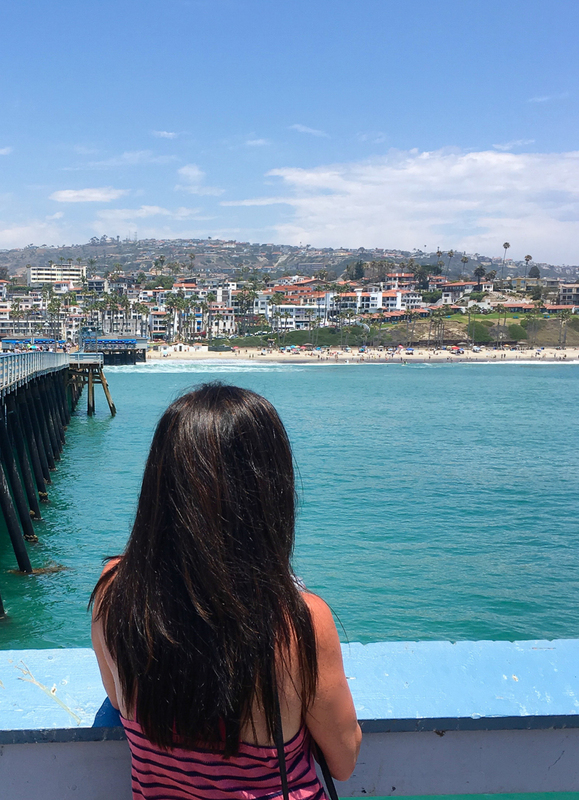 Below is the San Clemente Pier. There is a fabulous lunch spot called “The Fisherman’s Restaurant and Bar” located at the base of the pier where you see the groups of blue umbrellas. Their bread is to die for! Orange County, CA was home for our family from 2006-2012…Mission Viejo and Ladera Ranch to be specific. (You can read more about that here.) 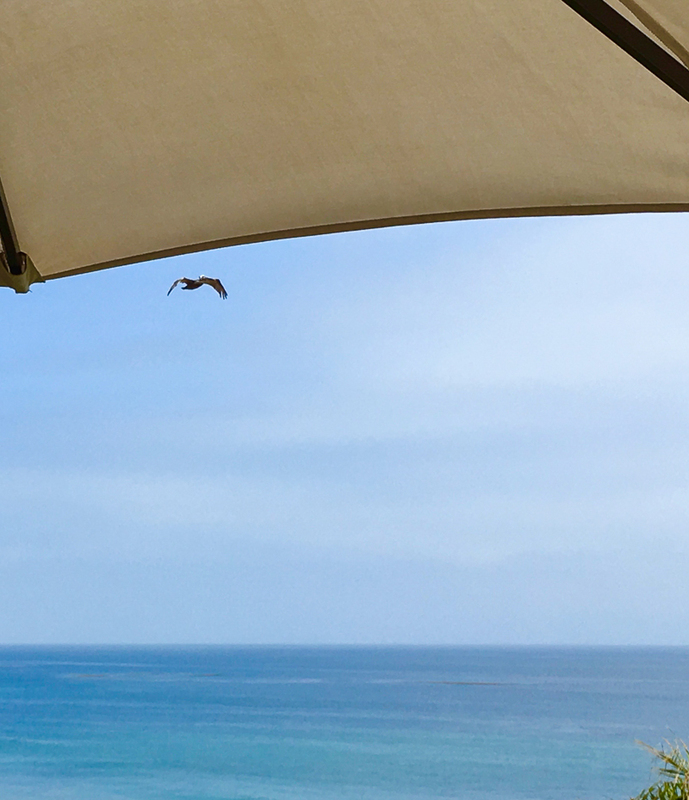 When we had free time, Laguna Beach was our destination of choice which was a mere 8 miles away if you had wings. We had wheels, so we added a few miles to that tally. Let’s call it a 25 minute car ride. 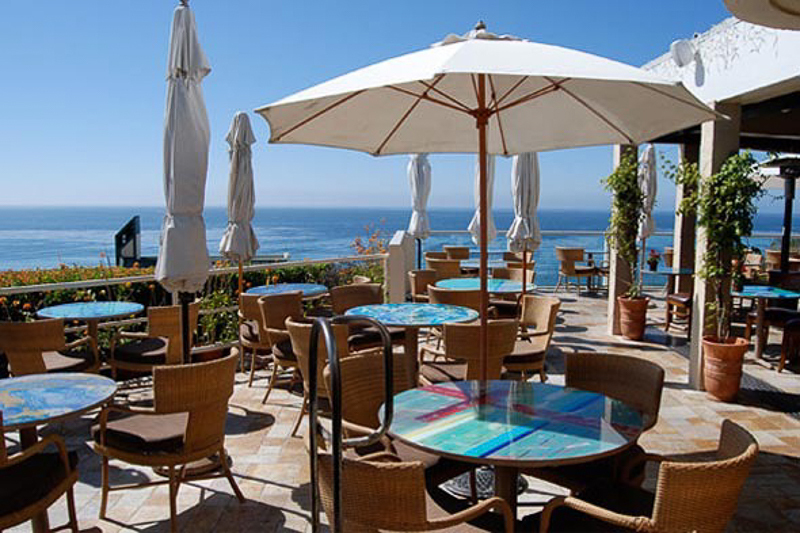 Laguna Beach has characteristics that go unmatched throughout the region. It is artistic and beautiful as well as being energetic yet intimate. Simply put, it is our favorite town anywhere. We were married here on this beautiful beach which is known as Woods Cove. 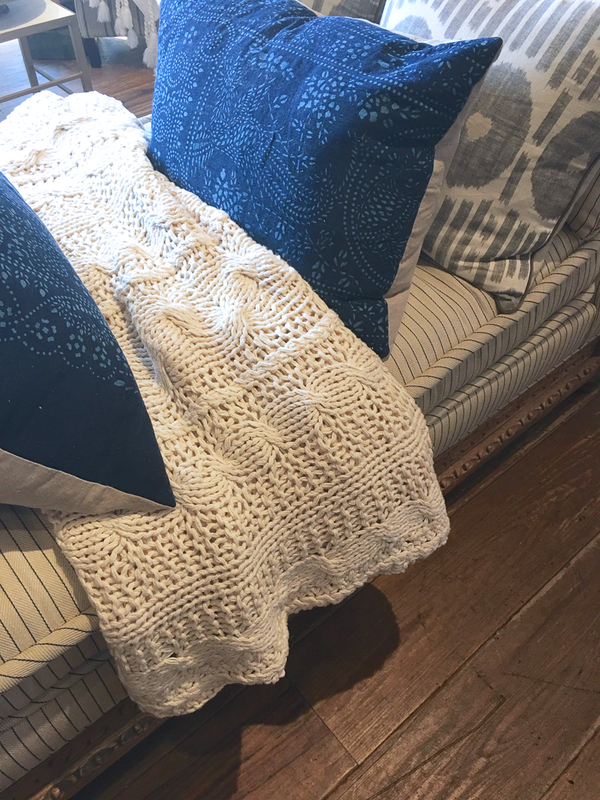 They offer many quaint and pretty coastal inspired furnishings and accessories. 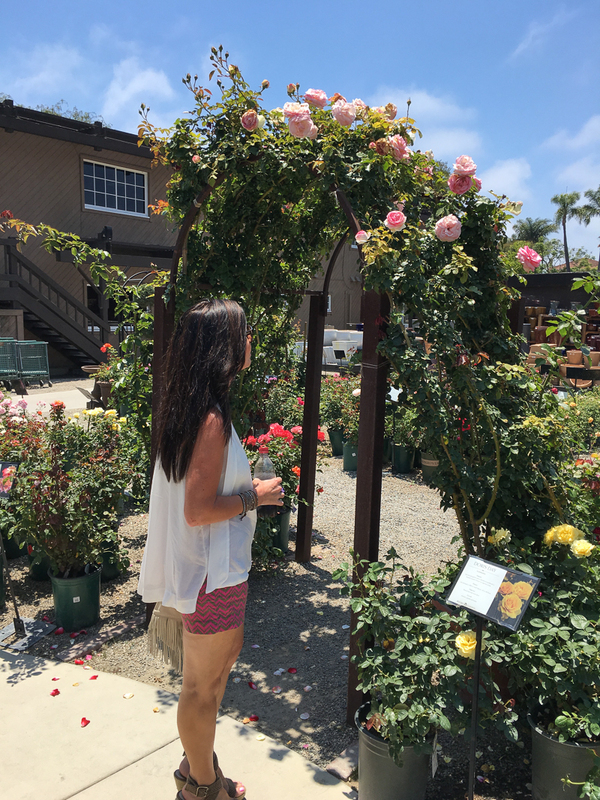 And just up the road in Newport Beach, Rogers Garden. 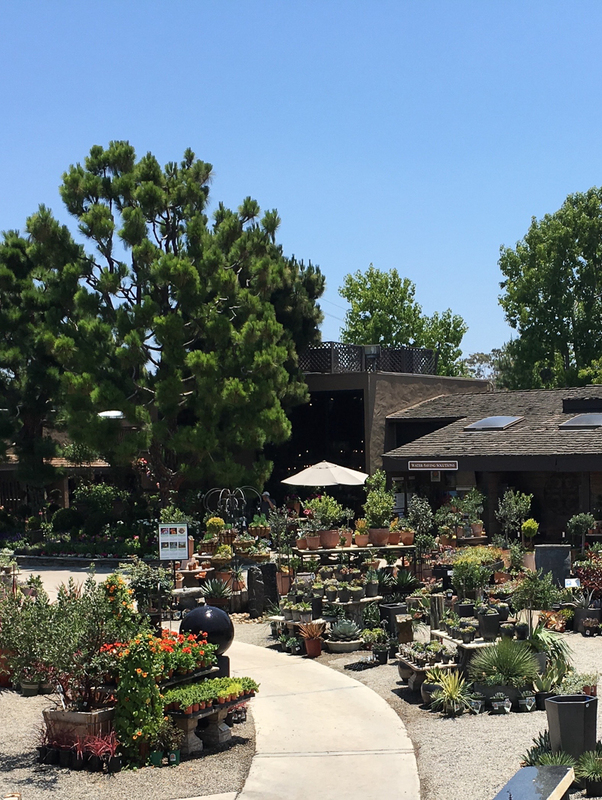 This is one of the most impressive “everything outdoor” stores I have ever set foot in. In all seriousness, if you are in Newport Beach, you must stop in and simply gaze at the inspirational setting. You will not be disappointed. I hope you enjoyed this unplanned diversion! I just love to travel and wanted to share some of my favorite memories from this most recent trip. I thank you for visiting and please tell a friend about Decor Gold Designs! *When an item is no longer available online, a similar item has been linked. Thank you Bree…it really was fun! 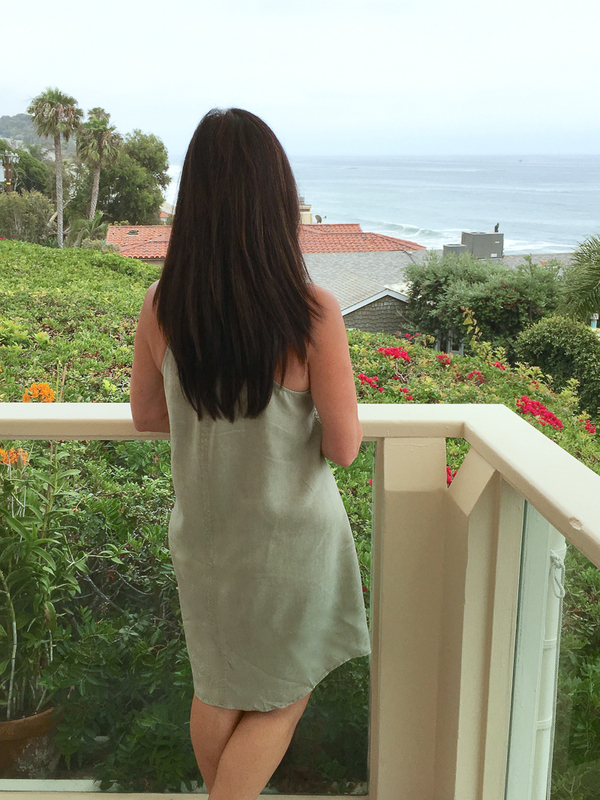 Jen, I loved joining you for this trip recap! I visited an aunt who lived there when I was 15. I wasn’t old enough to care about or appreciate much of anything- I would LOVE to go back and get more of your advice! Thank you Kelley! I hope you get to go back soon. You know I will have a long list ready for you!!! The pictures of your recent trip are so pretty! I would love to see the west coast. I once had to take a software class in Bothell, Washington and I thought the Pacific Northwest area was beautiful! Thank you! We love all of the west coast. I hope you have the opportunity to visit California someday! It’s very special. Thank you so much Tamara! 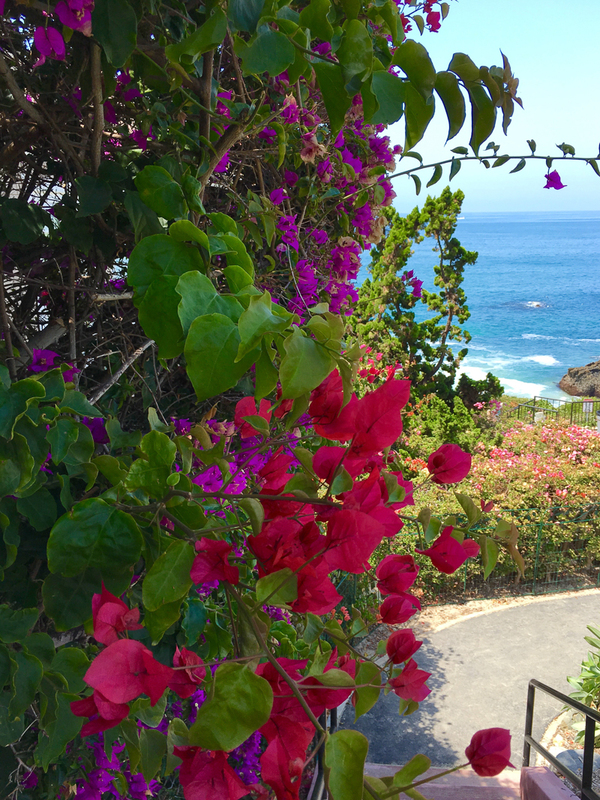 We adore Laguna and plan to live in that area again. I sure do hope we can be neighbors…..wouldn’t that be the best? !